Had Chelsea sneaked a goal at the London Stadium last Sunday, we’d be looking forward to a clash between two teams with 100% records. As it is, it’s still a meeting of the two teams who look most likely to rival Manchester City for the Premier League title this season, so let’s look at who is going to come out on top. The best bookies favour Liverpool. The Reds are priced at 29/20 with Bet Hard, who have Chelsea available at 19/10 and the draw is 13/5. That may seem surprising at first, but Liverpool have a decent record against Chelsea since Jürgen Klopp took charge, despite their 2-1 defeat to the Blues at Anfield on Wednesday night. Liverpool won their first two visits to Stamford Bridge under their current boss, but lost 1-0 last season when they had secured their place in the Champions League final four days earlier. All three Anfield meetings in the Premier League have been draws, so there hasn’t been too much between the sides over the last few years, but the current league leaders have had a very slender edge. The teams have pretty similar league records this season, with both teams having scored 14 goals and conceded no more than four. But there is an area where Liverpool have a distinct advantage: clear-cut chances. In attack, Chelsea have had 10 to the Reds’ 16, so the difference isn’t huge, but at the back Maurizio Sarri’s side have allowed 11 compared to Liverpool’s two. Only eight teams in the division have conceded more clear-cut chances than Chelsea, so with Liverpool’s front three all among the goals in 2018/19 they should get decent opportunities to add to their tallies on Saturday. Former Blue Mohamed Salah is the favourite in the goal scorer markets. Unibet have the Egyptian at 17/4 to get the opener, or 29/20 to score at any time. Salah may have had a relatively slow start to 2018/19, but only four players have scored more Premier League goals than he has, and only three have missed more clear-cut chances. In other words, more goals should come, and he’d love to prove a point to his former team. Salah also has seven goals in the mini-league of the big six teams, which is at least three more than any Chelsea player in the last year. He definitely looks the man to back. 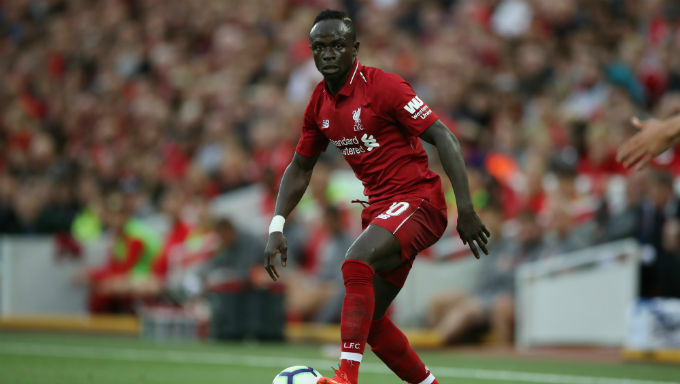 For slightly better value, it’s worth considering Sadio Mané, who is 21/10 to score with 888 Sport, or 23/4 to stun the home crowd with the opener. In his last five matches, the former Southampton man has had 13 shots, with 10 in the box and seven on target, but only scored once. His next goal shouldn’t be far away. It won’t surprise anyone that Eden Hazard - whose sublime solo goal proved the difference between the sides on Wednesday - is the shortest priced Chelsea player in the scorer markets, as he is currently joint-top of the Premier League Golden Boot chart with five goals. However, the Belgian only scored once in the top six mini league in 2017/18, and that was back in January. Hazard does have six career goals against the Reds, but he’s not been in great form in the big league games in the last year or so. Chelsea’s top scorer is available at 5/1 to score first or 9/5 at any time with 888 Sport if you think he’ll score here. Whoever gets the goals, the form book suggests it’s very likely there will definitely be some. Across the last seven seasons, both teams scored in 12 of the 14 Premier League meetings. Looking at more recent times, both teams have found the net in nine of Liverpool’s 11 trips to face big six opposition since the start of 2016/17. It has happened in seven of Chelsea’s home games against their main rivals in the same period, which is the joint-most among those clubs. The bookmakers agree that both teams will score, and a ‘yes’ bet is priced at 10/19 with Karamba. However, even if both teams look likely to score, it may not be a high scoring match. The last four league meetings at Anfield have all ended 1-1, while three of the last five at Stamford Bridge have seen fewer than three goals in total too. This is strange, as since August 2016, no side in the big six mini league has had more home games with over 2.5 goals than Chelsea have, and no team can top Liverpool’s tally on the road either. Yet despite that these teams seem to bring tight, low-scoring games out of each other. This feels like a game where both sides would be happy enough with a point, so Mansion Bet’s 6/5 for under 2.5 goals and 6/1 for a 1-1 draw look like good options.